Are your chickens scratching relentlessly, losing feathers, and generally in a miserable mood? If so, they probably have mites – or poultry lice. These nasty little infestations happen frequently, especially when birds are living in close quarters. Chicken mites will not kill your birds unless untreated for an extended period of time. Thankfully, mites and poultry lice are fairly easy to both get rid of and prevent without being reduce to using potentially harmful chemical products on the flock. Chicken mites can become deadly if left untreated, especially in chicks. When the bird scratches at the mites and creates open wounds, the other chicks are prone to attacking the bird after being drawn to the sight and smell of blood – this happens even more frequently when raising turkeys. What Are Chickens Mites How Can You Tell If The Flock Is Infested? The mites and lice travel from host to host in search of a home, much like human lice. They can be transmitted from bird to bird or often times, from rodents and other animals who lived near the chicken coop and run area. Mites tend to look like little brown spots on the flesh of a chicken. An infestation almost looks like someone splattered mud onto the bird – until the “mud” starts to move about slowly on the chicken’s body. Chicken mites can also appear as little gray specks or reddish specks, on a bird’s body. The miniscule parasites have eight legs, that are far too tiny for the naked eye to see. There are two common types of chicken mites, the northern fowl mites and red roost mites. The red roost mites prefer to inhabit the coop roosts, nesting boxes, and cracks in the wood frame of the coop and run, when not making their home on a bird. The mite colonies are fairly nocturnal, they often wait until it is dark to leave their colony to leech blood from your flock. Chicken mites can afflict guinea flocks as well. The more all of your flocks are exposed to natural dirt for “bathing” or dirt “baths” created inside their run, the less likely it is a chicken mite infestation will take hold. You can keep your chicken coop impeccably clean, and still experience a chicken mites infestation. A magnifying glass and a chicken that holds very still while it is examined would be required to visually identify which type of infestation you are battling. There is really no need to inspect a bird so closely to discover if chicken mites have set up housekeeping. You merely need to learn how to identify the symptoms and signs that an infestation has occurred so you can take the necessary steps to thwart it. Only in severe and long-term cases could a chicken mite infestation cause the death or humane slaughter, of a poultry bird. Inspecting each individual chicken twice each month for signs of an infestation should serve as an early mites or lice presence warning system. When allowed to remain together, a mother hen will instinctively check her chicks for mites and attempt to remove them. • Look at their vent feathers closely. If the feathers around the vent are particularly dirty, carefully look the bird’s flesh over more carefully so crawling tiny mites or lice. • Pay attention to the daily or weekly behavior of each chicken. If a bird suddenly moves about a lot less frequently or shows signs of general fatigue, look it over more thoroughly for signs of mtes. • If the chicken’s comb begins to boast a more pale hue, a mites infestation could be occurring on the bird. • Should egg production decrease suddenly, check the hen over immediately for signs or mites, lice, or other common poultry ailments. • Weight loss is another potential indication of a mites infestation. Weighing the birds twice each month, or even once per month, will help you better gauge their overall health. • Scabs near the vent of the chicken are another indicator a mites infestation in present, and likely has been for at least a little while. • If you chickens have white or light colored feathers, they may become darkened or discolored due to the feces dropped by the mites. 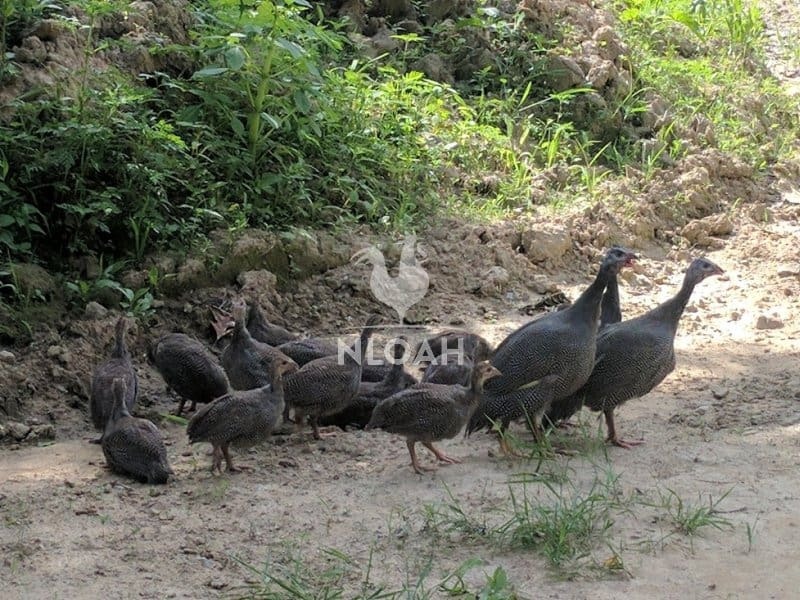 • Feathers on poultry often become disheveled or ragged in appearance when they are combatting mites. 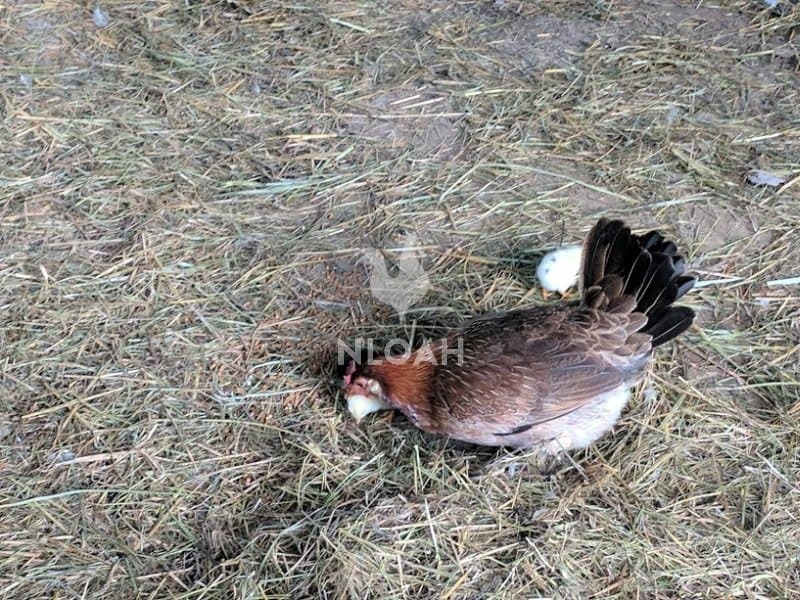 • Both chicken mites and lice tend to lay their eggs on the feathers of birds, check that area closely both during and after an infestation treatment to ensure they parasites are all gone. It is always a good idea to inspect birds weekly, if possible, and keep a health journal on each bird. Following this practice will help you determine not only if mites and lice are about, but other if other common poultry ailments are emerging and to keep track of egg production. When inspecting each chicken, pay special attention to your brooding hens. The hens are too focused on laying or sitting their eggs to take regular dust baths – which help ward of mice and lice. If you have ever left the coop with irritated and slightly burning skin, it is likely the mites that are infecting your birds, decided to take a bite out of you, as well. Before we delve into how to cure chickens with mites, let’s take a few moments to better understand how to prevent them (as much as humanly possible) in the first place – and make sure your coop is rid of them after an infestation has been detected. Birds and other wildlife are generally considered the biggest carriers of chicken mites and lice. If you live in an urban area and the flock is confined to a coop and run, common sense would tell you that the birds are better protected from mites than say, free range flocks. But, that does not seem to be the case. Because free range birds have more access to dust bath opportunities mites are less likely to choose them for a host. Also, because free range birds are not living in confined quarters for the bulk of their lives, bird to bird transfer of mites is also decreased. I tell you this not because I am die-hard free ranger who is blessed with the space to do so, but because all poultry keepers need to know no matter how the chickens are housed, and their are pros and cons to all methods, EVERY flock is susceptible to some degree, of contracting mites. How you choose to raise your birds matters, but opting for one type of housing over another because it will keep the flock protected from mites and thinking your job is done, will ultimately leave the chickens more vulnerable to the parasites. • Quarantine new additions to the flock for at least two weeks before moving them into general living quarters. Inspect the new birds daily for signs of mites, lice, and other illness. • Store feed in an airtight container to prevent mites or other unwanted pests from getting inside. I always toss 2 cups of diatomaceous earth in with every 50-pound bag of feed to ward off pests. The diatomaceous earth can also serve as a natural dewormer and detoxifying agent. The DE cuts into the hide of insects to deter their entry and also absorbs into their skin to dehydrate them, smothering the pest from the inside out. • Remove potentially contaminated feathers found in the coop and run on regular basis. • Put fresh straw in the coop and run weekly or bi-weekly, as your budget allows. • Clean out nesting boxes and hose down the inside of the coop, including the roosts, at least one per month. I use a mixture of 2 tablespoons of Blue Dawn, 1 cup of cooking or carrier oil per every 2 cups of water when cleaning my coop and run. 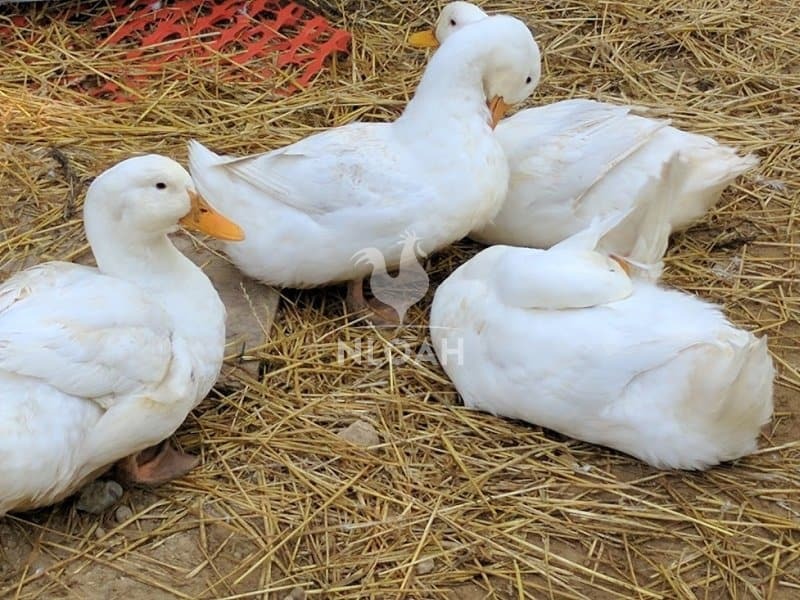 • Keep a dust bath large enough to accommodate all of your hens filled with dirt, sand, and ideally, diatomaceous earth at all time. Dump and refresh the dirt every three months. • Sprinkle FOOD GRADE diatomaceous earth in your nesting boxes to deter mites and other parasites from making it their home. Commercial grade DE can be extremely harmful for humans and livestock to inhale. Dust will always consume the air for a few moments when pouring any type of DE. Sprinkle the DE slowly and carefully to decrease the amount of dust, pour while wearing a mask, and/or in a well ventilated area. 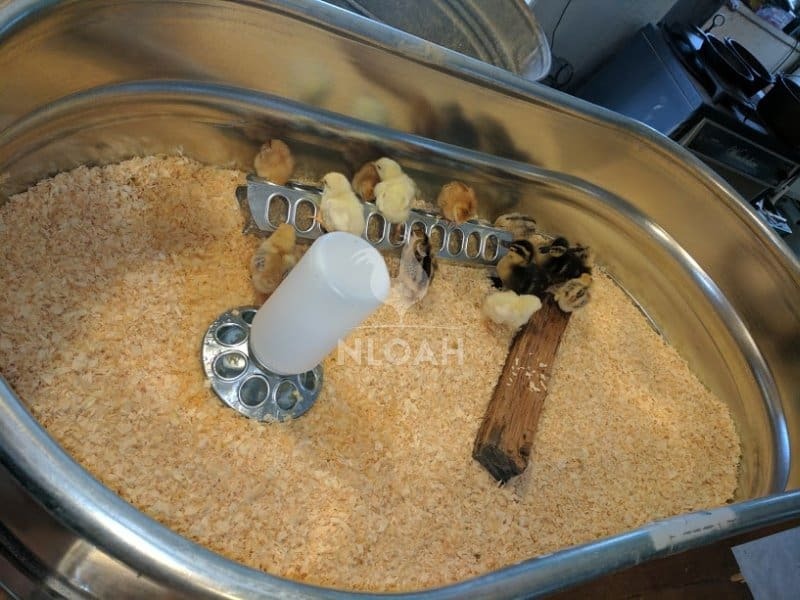 Chicken mite infestations can spread rapidly in brooder chicks and ducklings because of both the extreme close quarters and their apparent attraction to heat during cold seasons. Sprinkling specific spices in coop feeders and waterers, as well as in a small tub to munch on free choice, should help the flock heal from the bites and sores caused by the parasites. 1. Garlic – The multi-purpose natural healing food/spice has been known to work superbly at repelling multiple types of parasites in livestock both small and large. 2. Cayenne Pepper – This spice is routinely regarded as a strong natural parasite killer. 3. Calendula – Dried petals from this flower have been known to help ward off and treat parasite infections. Calendula may also reduce blood clots and help reduce soft eggshell laying by hens. 4. Cinnamon – It boasts natural immune system compounds and is known to help reduce inflammation while also working as a natural antifungal agent. 5. Turmeric – This spice is often regarded as a strong natural antibiotic and also possesses anti-inflammatory compounds. It can also help treat the swelling associated with bumblefoot and enhance the immune system of brooding hens in particular. 6. Ginger – I use ginger regularly with my flock because of its natural healing properties and the belief that the spice can help harden egg shells and perhaps increase egg production. 7. Oregano – The spice is another great immune system booster with healing properties. It may also help fend off the deadly coccidiosis, avian flu, and poultry respiratory illnesses. 8. Black Pepper – This spice has antibacterial and antioxidant properties that can help chickens (other livestock and humans as well) heal both naturally and more quickly from various injuries and illnesses. 9. You can also rub the birds down with apple cider vinegar, cooking oil, mineral oil, or your favorite carrier oil, to smother the chicken mites. • 1 teaspoon of any of the two following spices: cinnamon, lavender, coriander, thyme, basil, bay leaves, spearmint, or cloves. 1. Mix all ingredients together and pour into a squirt bottle. 2. Spray the flock once each week as a preventative or twice each week once an infestation has been detected. 3. Store the mixture up to 1 month in a cool dry place. No matter how hard you try to avoid it, mites will almost certainly infest at least a few members of your flock. The tips above will help you both decrease such occurrences, help you detect infestations early, and aid in the removal of the parasites. Once chicken mites have been found on a single bird, treat the entire flock, even if the other hens and roosters show no visible signs of the parasites. Once the birds have been treated, remove them from the coop and run temporarily and thoroughly clean and disinfect the entire area before allowing the flock to return. 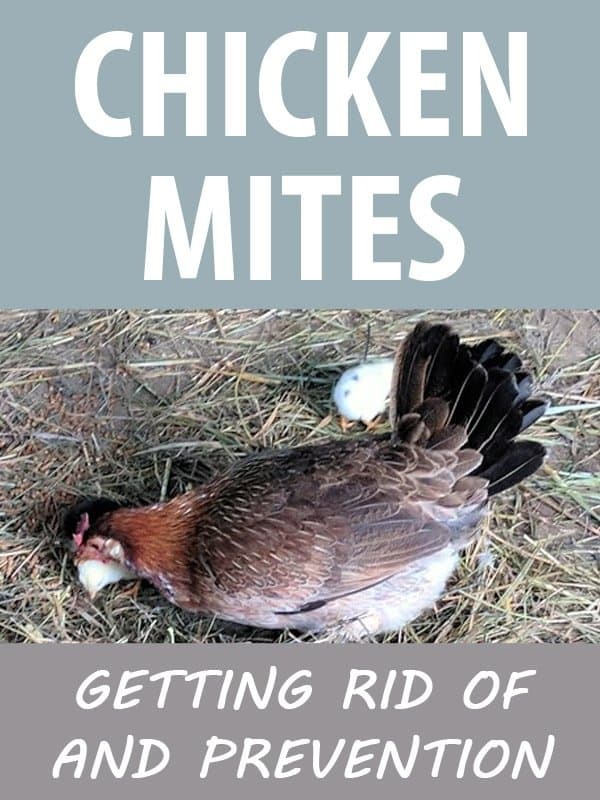 Having trouble getting rid of chicken mites in your flock? Share details about your problem in the comments section below and we will try to help you figure out a way to help your chickens get rid of the vile parasites.